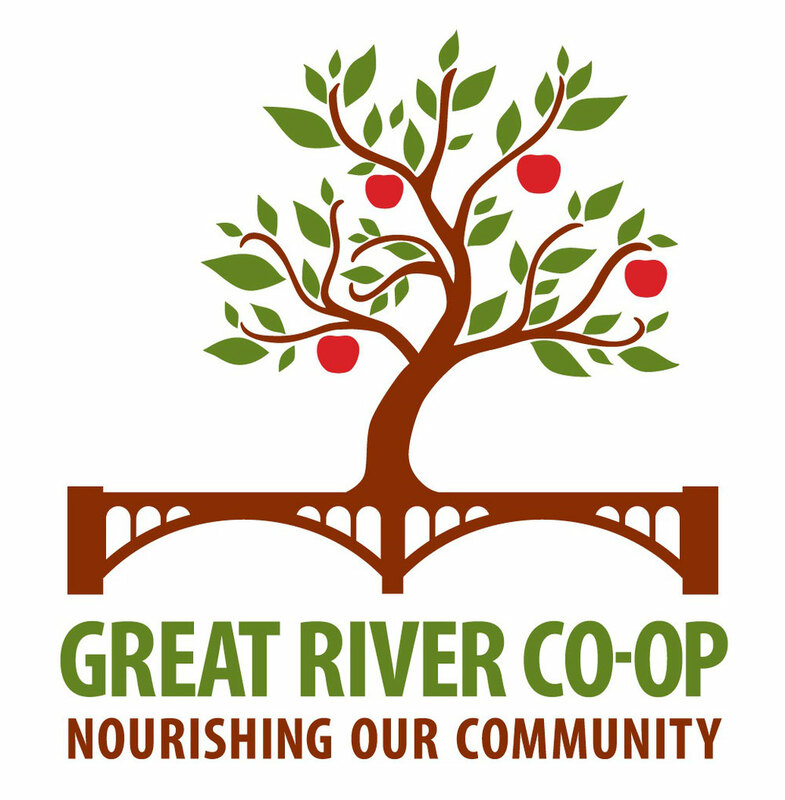 The Great River Co-op Harvest Dinner a Success! 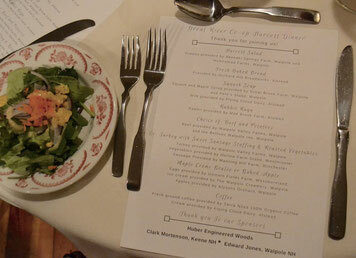 On Sunday, October 16th more than 40 community members joined the Great River Co-op Board Members to celebrate Co-op Month with a Harvest Dinner at the Bellows Walpole Inn. Nearly all ingredients were locally sourced, from the main entrees right down to the maple syrup in the crème brulee! We want to thank all of our amazing local producers who donated food for the event. Attendees enjoyed a lovely harvest salad, deliciously smooth squash soup, a rabbit pasta dish, then a choice of turkey or beef for the main meal. Of course, we couldn’t have a harvest dinner without a fall-inspired dessert-or two! Diners could make the (difficult) choice between local baked apples, or that maple crème brulee mentioned above. The Bellows Walpole Inn was cozy and inviting-the perfect venue to celebrate fall cuisine. The expertise and attentiveness of the staff made the evening all the more wonderful. Donations from local businesses allowed us to hold a silent auction with items from Poocham Winery, Halladay’s Flowers, several local farms and more! And, there were even a couple of bidding wars - of course, it was all in good fun! We are so appreciative to our sponsors! Huber Engineered Woods, Clark Mortenson Insurance, and the Walpole Edward Jones office were very generous in their support. Thank you to those who came out to join us in savoring the local foods of our region. There was wonderful conversation, a huge show of support, and such fun. There’s even talk about going bigger and better next year! If you weren’t able to make it out to the event, please consider supporting the co-op by becoming a member, spreading the word, or volunteering to help at a future event. Find out more at greatriverfoodcoop.com. Co-operatives are businesses that are owned and governed by their members, the people who use the products and services they provide. Together, we can bring a co-op store to Walpole!